On the 5.412 kilometre long Formula One track in Sakhir, the prototypes and sports cars will be driving into the dark for the third time this season. The six-hour race will start at 15:00 hrs local time, sunset is less than two hours later. For the Porsche Team with the two Le Mans Prototype 919 Hybrids, the Bahrain International Circuit is the first venue it will visit where it has had previous experience. Although this is from the early days of testing with the complex hybrid car, the data will still be useful for a baseline preparation. 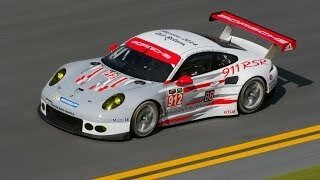 After two pole positions and three podium finishes in six races, the Porsche Team hopes to continue its positive return to racing and targets another podium finish. “Our first season has hardly given us a breather. First we focussed on Le Mans and now the races with their individual challenges come in quick succession. 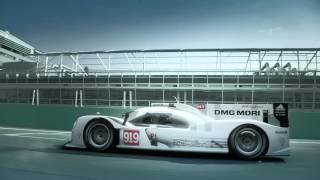 We are proud that the Porsche 919 Hybrid has been competitive right from the start of the season“, says Fritz Enzinger, Vice President LMP1. For the upcoming season, the Porsche team has confirmed its pilots: All six LMP1 works drivers – Timo Bernhard, Romain Dumas, Neel Jani, Brendon Hartley, Marc Lieb and Mark Webber – will be driving the Porsche Le Mans Protoypes again in 2015. A week ago in Shanghai, the Porsche Manthey squad celebrated a commanding double victory in the fiercely-contested GTE-Pro class in the fight for the World Cup, and will again field two Porsche 911 RSR in Bahrain. After clinching success in China, the title is now again within striking distance. Porsche’s factory pilots Jörg Bergmeister (Germany) and Richard Lietz (Austria) tackle the race on the 5.407 kilometre Grand Prix circuit at the wheel of the #91 Porsche 911 RSR. Their French works driver colleagues and winners of the Shanghai race, Frédéric Makowiecki and Patrick Pilet, share driving duties in the number 92 cockpit. Two Porsche customer teams contest the GTE-Am class: Proton Competition with Porsche junior Klaus Bachler (Austria) and Prospeed Competition, both fielding the 911 RSR. More quotes in the corresponding press release (Download, left column). - The six-hours of Bahrain will start on Saturday, November 15, at 15:00 hrs local time. Sunset will be at 16:48 hrs. - There are different circuit layouts available in Bahrain, but the WEC runs on the same one as Formula One. One lap is 5.412 kilometres long and has eight right handers and six left handers. The start-finish straight is 1.090 kilometres. - The Bahrain International Circuit opened in 2004 and is located about 30 kilometres outside Bahrain’s capital of Manama. - Over 30 islands in the Persian Gulf belong to the Kingdom. Its size is around 750 square kilometres – half the size of the city of London. - Bahrain has nearly 1.2 million inhabitants. - So far, after six out of eight races in the Porsche 919 Hybrid’s debut season, the Porsche Team has achieved three podium finishes (third places in Silverstone, Fuji and Shanghai) as well as two pole positions (Spa and Shanghai). The winner’s trophy for the 24 Hours of Le Mans has found a new home at the Porsche Museum. Two of Porsche's most famous fans sneaked off for a spin in a Macan on the streets of Bahrain.